Goodness, look at all those new readers. I appear to have been Mark-Sheaed, which is, I suppose, the Catholic equivalent of being Penny-Arcaded. Mark, you can link my blog anytime you want. Guess I better put up some real content to keep them coming back. Hmm...okay, tune in tomorrow and we'll have a movie review DOUBLE FEATURE! Power. Over you, specifically. One aspect of the priesthood has a particular appeal to me, and that's the ability to exert control over superstitious parishioners via their deceased loved ones. If you don't do what I say, or give me sufficient money, I'll have the ability to cast your dead relatives from purgatory into hell. Think about that for a minute and then tell me who wouldn't want to be a priest. Wealth. Speaking of sufficient money, we all know the Vatican has gigantic vats full of it, so much that if the Church only opened her greedy coffers, she could instantly solve all the world's problems with her enormous monetary assets and still have enough left over to fund an ill-fated space program involving flying cathedrals and confused nuns. Fortunately, she's not going to do that, because every good bishop knows money was made for swimming in, Scrooge McDuck style. As a mere priest I won't have a big vat of moolah like the pope, but I'm sure I can acquire a small bathtub full, which is sufficient for my modest needs. Influence. As a priest, I might be able to speed up the process of the canonization of Isaac Leibowitz. I mean, let's get this show on the road here. What's taking so long? Secrets. If I manage to acquire enough power and influence through the regular channels of backstabbing and simony, I might gain access to the secret vaults where we keep the fifty-four other, more accurate gospels, and I might even learn the truth about our architecture, about the aliens, and about the vampires. I might see all the artifacts that the Church somehow managed to nick from the Temple of Solomon, which will be particularly special to me as an archaeologist. And since nicking artifacts from the Temple of Solomon would require the Church to have a time machine, I might get to see a time machine. That's pretty sweet. Style. 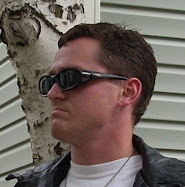 I have never yet seen a priest with enough guts to wear a leather trenchcoat and dark sunglasses with his clerical garb, and somebody needs to do something about that. Praying Directly to Jesus. We let the ordinary folk like you pray to saints, of course, or go through the mediation of a priest and his esoteric, intentionally obscure rituals in another language, and sometimes we even let you pray to Jesus' Sacred Heart (though that's pushing it, so don't do it too often), but only the ordained get to talk to Jesus himself. If I'm ordained a priest, you'll have to go through me to get to Jesus, and that gives me a certain feel-good rush (see no. 1 above). Assassination. Let's face it, assassins are cool, and priest assassins are extra cool. Admittedly, I jumped the gun on this one; I was so excited about my future carrying out brutal murders to perpetuate the lies of Holy Mother Church, I went and shot a museum curator who was studying Leonardo Da Vinci a little too closely. I then followed this up by taking out a couple of kids who appeared to be about to commit the vile act of eating fruit in the forest together (an act that can change the multiverse!). Afterward, my pastor had to take me aside and inform me that, though assassination is indeed an important part of ministry, it can only be carried out by those who have done penance for murder ahead of time. I asked if that meant I was in some kind of trouble, but he reassured me that I could take care of it with an indulgence if I shelled out some cash for a new cathedral. In the end, my first assassinations were expensive, but worth it. Great Retirement Benefits. At the end of my life, after I have gained dizzying power through my clever maneuvering in the corrupt hierarchy of Rome, and after my flesh has been engrossened by gluttony, drunkenness, and sexual excess (made all the more grotesque by unrelieved celibacy, which, by the way, causes hallucinations), I will lie on my deathbed suffering from fever and dropsy. I will have an excruciating itch over my whole body, as well as difficulty breathing. I will have extremely foul breath. Then, in my last moments, I will see a vision of raging fire--a premonition of my eternal fate--and at last my body will burst open with worms, a devastating symbol of heavenly displeasure. I'm really looking forward to it.